Thank you once again for your incredible support in 2016. We would like to wish you all a very Merry Christmas and a Happy New Year. 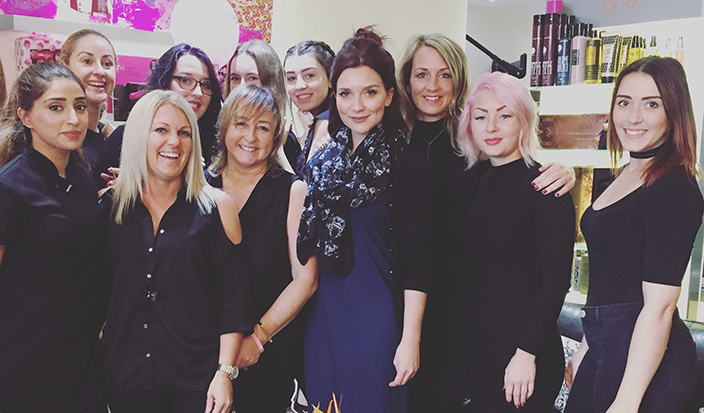 Here’s just a few of our wear it pink 2016 highlights…..
Staff and customers at Haywardlane Hair and Beauty in Bedford broke a Guiness World Record by Curling 121 heads of hair in 1 hour. And Candice from The Great British Bake Off popped in to say hello!